Like probably majority of people who make resolutions, I was never good at keeping them. I don't even get past January and I break them. But every time a year comes to a close, I always feel giddy. It's probably the anticipation of what new things, new opportunities, new challenges the coming year could bring that makes me feel that way. This year I didn't make any resolutions again. But vowed one thing - 2012 will definitely end with a better ME. Since I became a mother and a wife, my world mostly evolved around keeping the hubby, the kid and the house. I gave the least priority to me. But now that the kid is growing up and is soon stepping into the world of preschoolers, I realized it's probably the best time for me to now focus on ME. After all, if the ME is happy everything else should follow. Wash with Celeteque facial wash again, tone using Human Heart Nature's Hydrating Toner and apply Human Heart Nature's 100% Natural Moisturizing Night Cream with Plant Collagen. 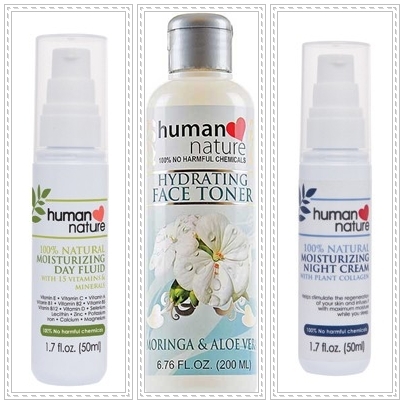 I've been using Human Heart Nature products for almost 2 years now and I really like them (well mostly because they're all natural and budget-friendly). They don't feel harsh at all and I'm really loving how the night cream makes my skin feel hydrated. I exfoliate at least 3x a week using Celeteque exfoliating wash (the one with the beads). I am optimistic that I could turn this one into a habit. I have soft, glowing skin clipped on my vision board for added inspiration. Hehe. currently loving these products. they're all natural and very budget-friendly! 2 - Read and ACTUALLY finish at least one book every month (my friend Raizza has been doing this and I think it's a great idea). I used to really love reading. But that has since taken the back seat. This year, I'm rekindling that passion for reading to influence my daughter and to keep her interested in books. 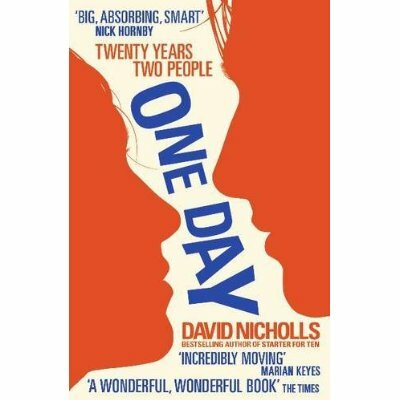 I don't want to pressure her into reading really but I'm hoping that when she sees me enjoying it, she might just think it's really something good to do :) Right now I've started reading One Day by David Nicholls. I initially planned on reading this before I saw the movie but I didn't make the time last year. 3 - Minimize hours spent on computer games and blog more often instead. I've been most successful with this one. I hope though that I get to sustain this the most since I do tend to be easily addicted once I start with a certain game. So what I try do right now is just to totally avoid clicking whatever request I get in Facebook most especially since that's where I usually spend most gaming hours in. So there, three little tiny steps at a time and I sure am on my way to a better me in 2012. Wish me luck!